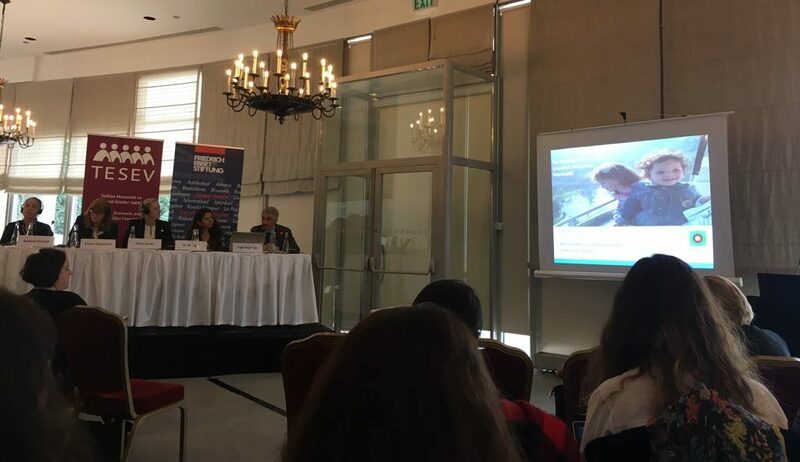 BvLF’s Country Representative for Turkey, Yiğit Aksakoğlu, spoke on Monday at a conference in Istanbul organised by the Turkish Economic and Social Studies Foundation and Germany’s Friedrich-Ebert-Stiftung entitled “Women, Work and Childcare: Local and International Perspectives from Public and Private Sectors”. The event brought together a range of national and international organisations with a shared interest in childcare as an obstacle to female participation in the labour force in Turkey. Panel participants shared research from Turkey and abroad, one underlining that investment in the childcare industry creates four times as many jobs as investment in the construction industry. The main focus of BvLF’s presentation was on the need to experience cities from 95cm and see childcare as part of a holistic range of services that municipalities can offer to support parents in nurturing the development of their young children. The conference led to useful connections and possibilities of future collaboration.